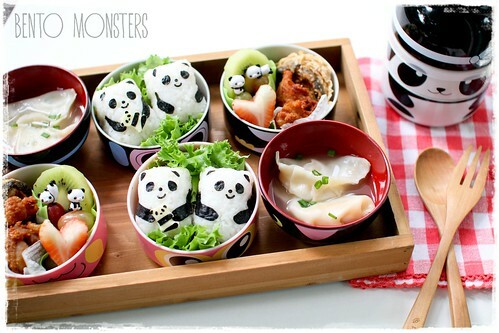 Do you know you can use your Animal Palz as a rice mould too? 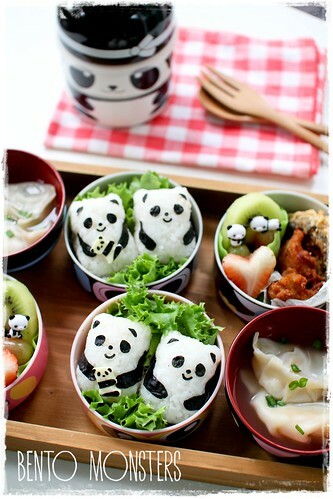 I used my Animal Palz to mould these rice pandas. These were for my boys' dinner. I cooked chicken karaage and dumpling soup that day. There were some fried mushrooms in the bentos as well, which were actually leftovers from lunch. I brought my parents for lunch in the afternoon and I ordered a little too much, so I brought back the fried mushrooms which we could not finished. A breakfast I made just after IT's exams two weeks ago. 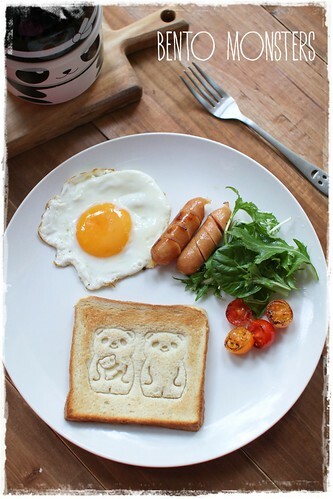 I used Animal Palz to stamp on the bread, the baby panda stamper is too cute! 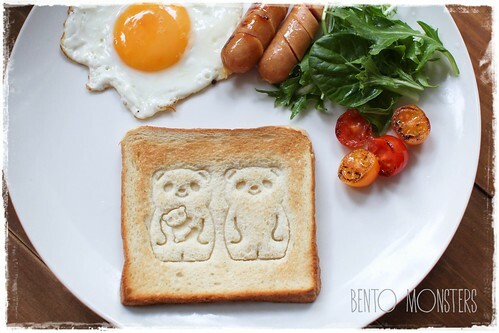 I also didn't realize it could be used as a rice mould! 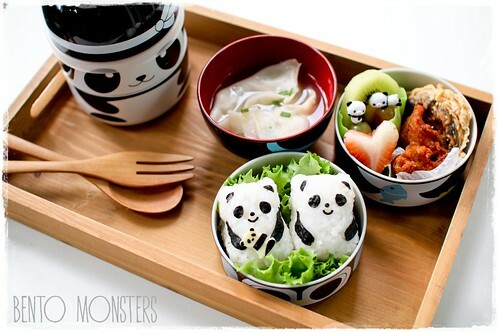 I love the panda onigiri you made. amazing!! 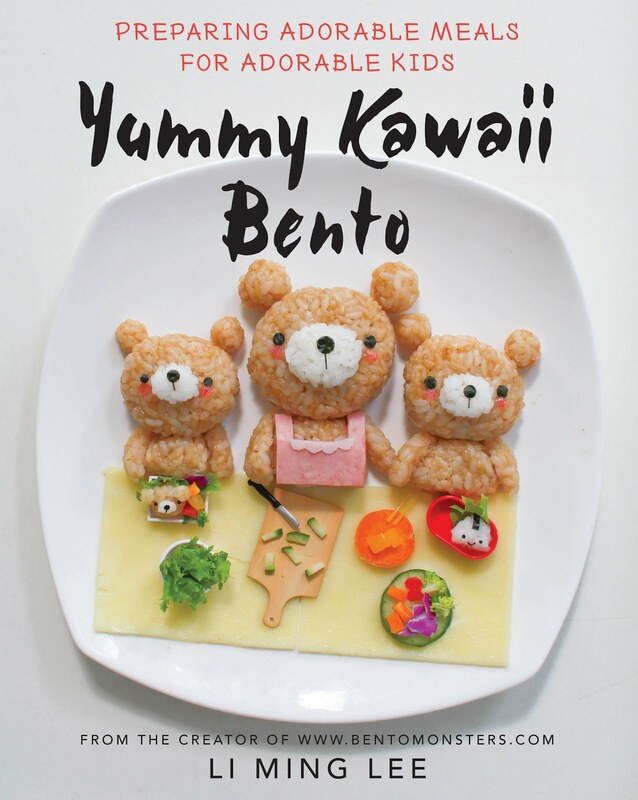 love the ideas and about the using it as rice mould!